For those who already know (friends, family, avid Brandy & Ginger followers, acquaintances, social media associates, random stranger at the airport and pretty much everyone I spoke to in the past two weeks!) 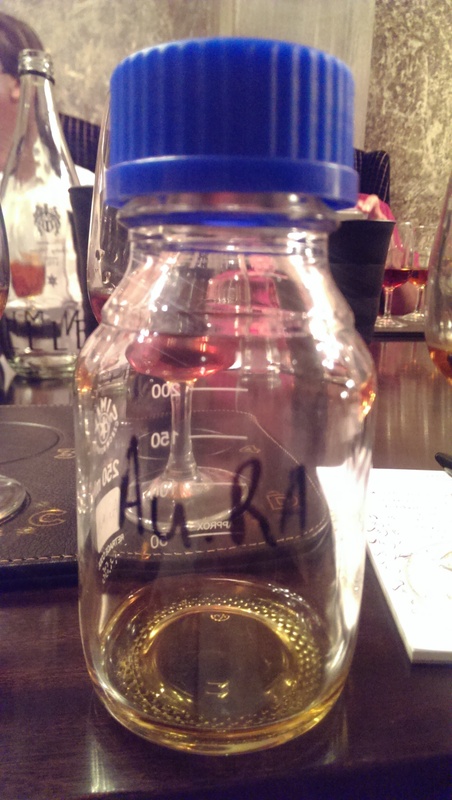 and those who didn’t know… We here at Brandy & Ginger had the bespoke privilege of (finally) tasting the Van Ryn’s 30 Year Old Au.Ra! 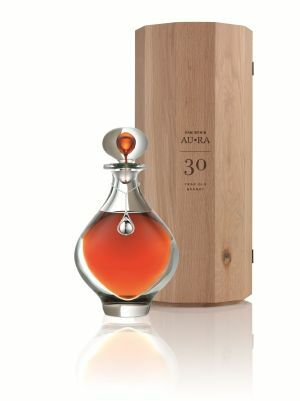 For more details on the occasion, including the interesting results of the tastings please read our previous blog entry, because right here I am only going to focus on that day’s hidden surprise… South Africa’s first 30 Year Old Brandy! When this brandy was launched in 2012 it made the history books by setting itself apart from anything else liquor related that was produced in South Africa at the time. It came with all the ingredients of an international super star product; Age, Packaging and Limited Availability (read more on Van Ryn’s AU.RA). So back to the tasting, ten people around a table, each with eight glasses in front of them filled with mysterious amber liquids. And in the top right corner of the eight glasses in front us, one we are not allowed to touch… Once we have completed smelling, tasting and commenting on the various brandies and cognacs in front of us, we are told to take the last glass and smell… Keep in mind we have no idea what we have in our hands. My nose is met by the most delightfully complex and intensely aromatic smell that is like nothing I have ever nosed before. Vanilla, strong scents of roasted nuts and the smell of a freshly toasted barrel (woody) that ever so seductively hides a delicious sweetness. My curiosity is peaked… I am thinking Van Ryn’s 20 Year Old as I pick up the signature woodiness of Van Ryn’s but with definite age and the complexity that comes with it. Slowly out of a box comes a tiny lab bottle marked in pen ‘Au.Ra’… And my mouth falls open! So long have I waited and wished to taste this rare South African brandy gem, and here I am sitting with a glass in my hand. Slowly as I treasure and sip, I get to experience this Brandy. It is smooth… so smooth! And well balanced, like something only age (and some exceptional blending) can give you. As with the KWV Nexus 30 Year Old, it is difficult to single out one specific flavor, as this brandy comes with a multitude on the palate. There is a definite presence of a wood and nuts and a lingering sweetness of sherry. And funny enough, just like the Van Ryn’s 20, the palate presents with a sense of complexity that seems to change as I drink it. Nutty, spicy, sweet, nutty again. As I am writing this I had to reach for my bottle of Van Ryn’s 20 to reminisce, and just as I suspected it is also complex and delicate, but the Au.Ra is just so much sweeter, smoother and exquisitely well put together. « Is Cognac better than Brandy? Been for brandy tasting at Van Ryn distillery. Its an awesome experience. Highly recommended. It really is, Paula. A definite must for any potstill brandy fan!